It's that time... Springtime and with Springtime brings Spring cleaning! So I thought I better get to it. I made some great charts to help me with the organizational process. 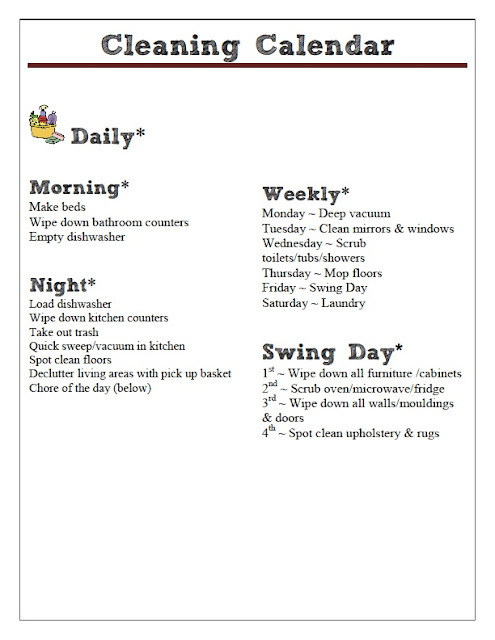 The first one is a "Cleaning Calendar" probably the most important of all for me. I really need to stay on task with this stuff. 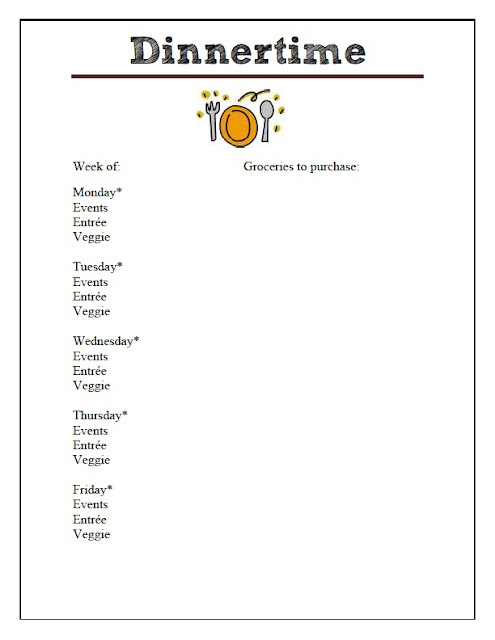 The second one is a "Dinnertime" chart which is a planner for middle of the week dinners. I don't include weekend's because everybody should get the weekend off from cooking right? And I included an "events" line, so I know when we have a baseball game or cheer practice etc... I do dinner planning pretty religiously every week so I don't have to go to the grocery store a million times during the week. 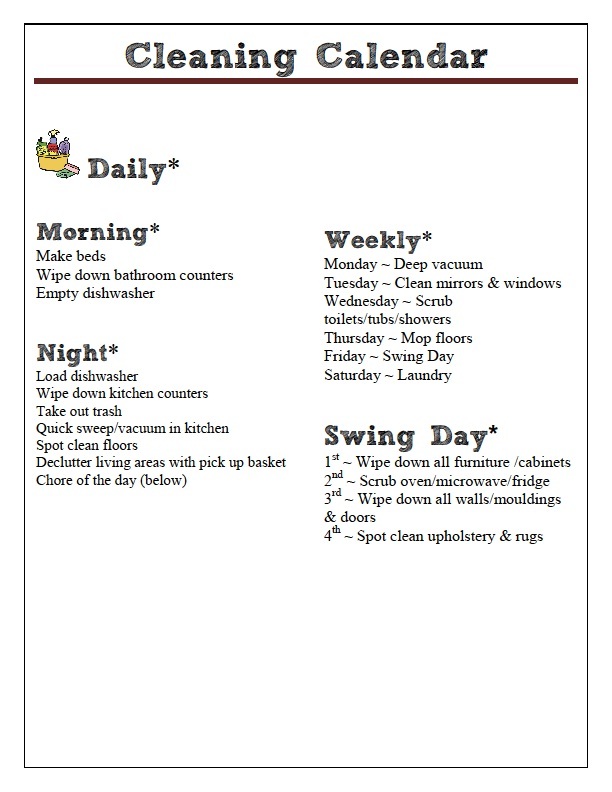 What do you do to plan and more importantly how do you stay on task with all of your household chores????? My charts are pretty impossible to read, sorry about that! Hoping everybody has a fantastic weekend! Wish me luck for the lotto, I need it!!!!!! Linking to "I am momma hear me roar"
Great charts! Looks like an awesome system....and it's making me think I should probably have a netter system like that :) Thanks so much for linking up to the party. Way to go! Have a great weekend!